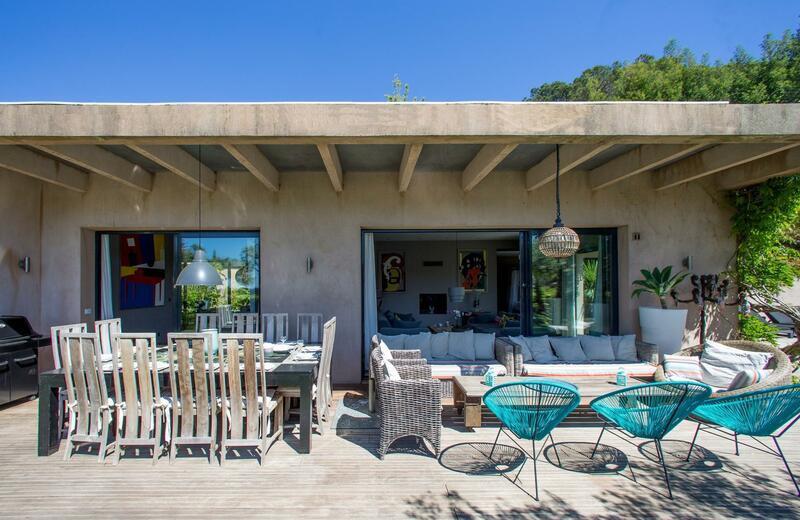 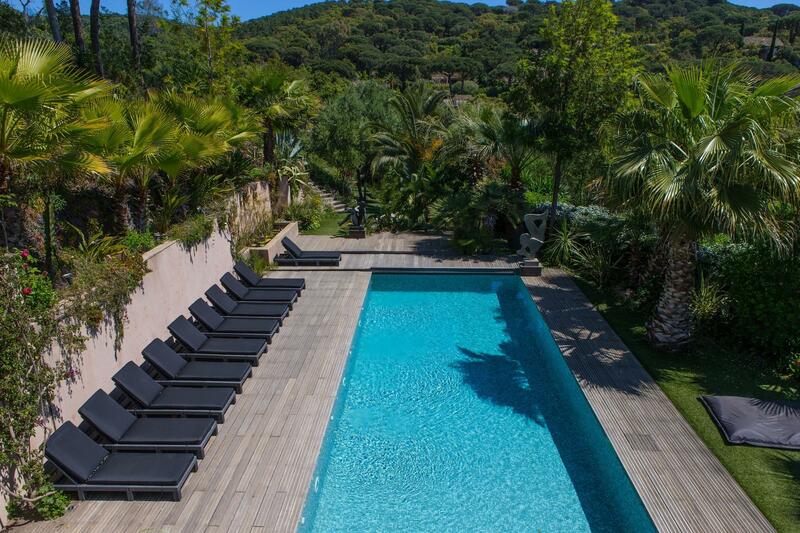 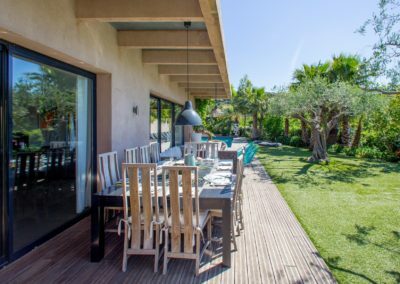 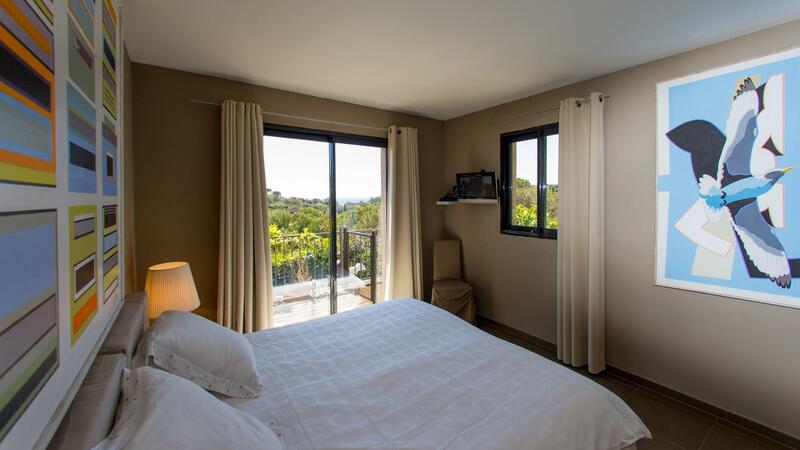 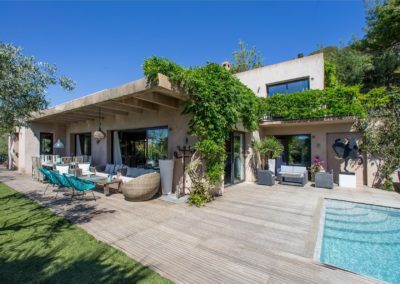 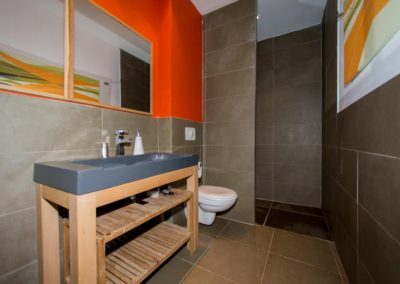 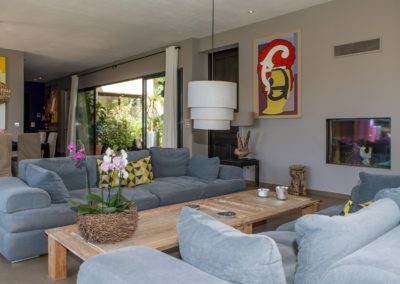 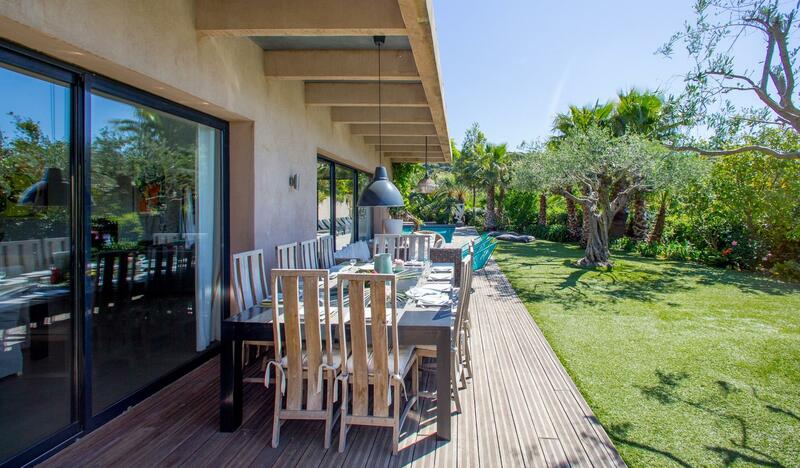 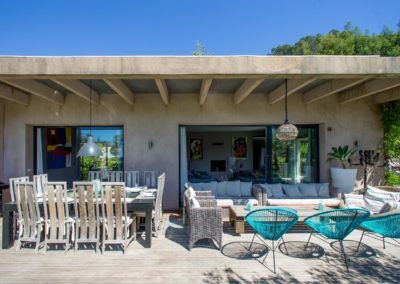 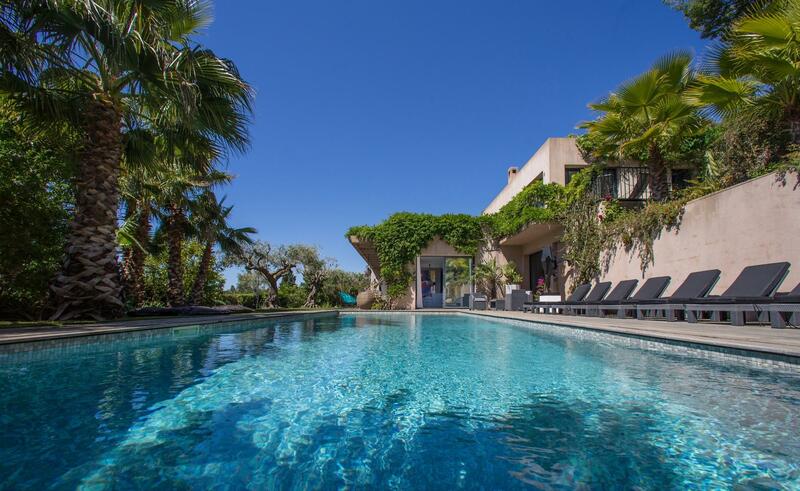 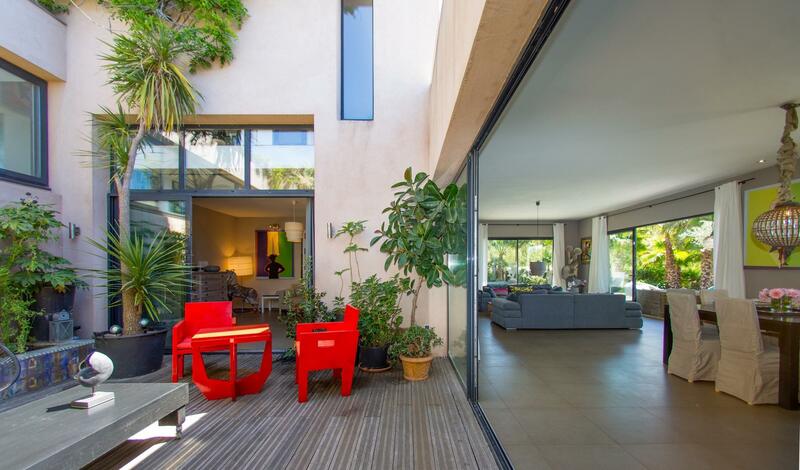 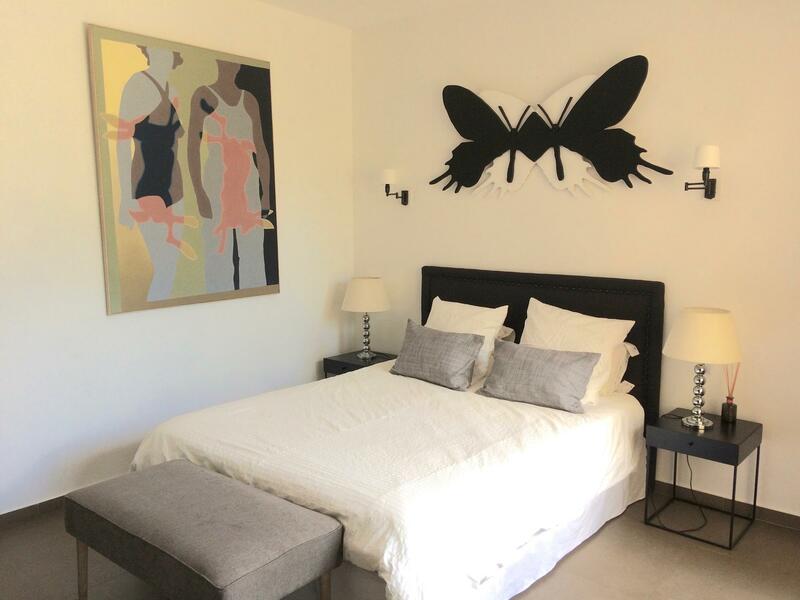 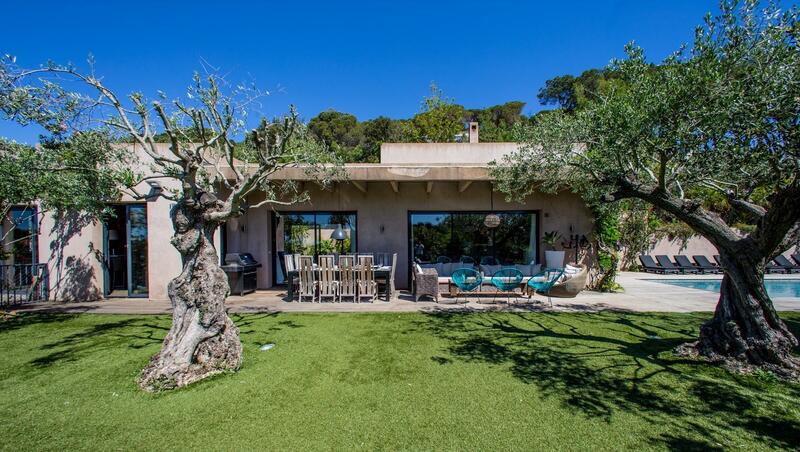 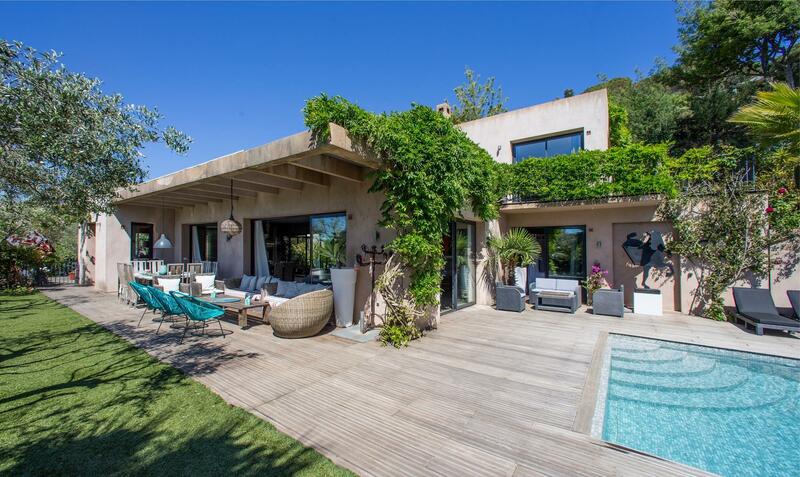 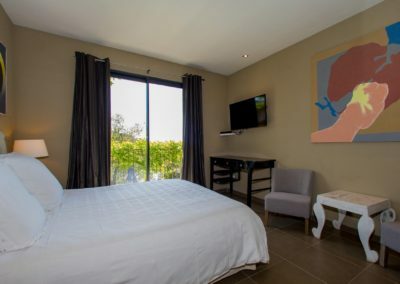 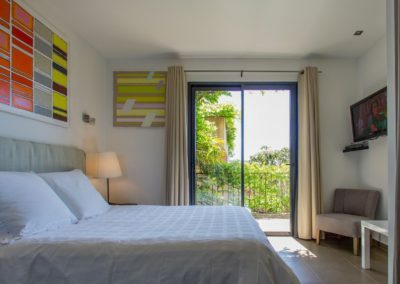 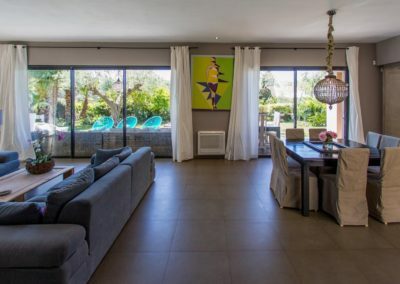 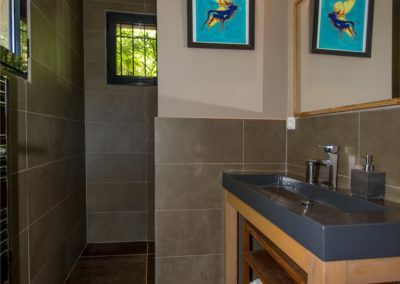 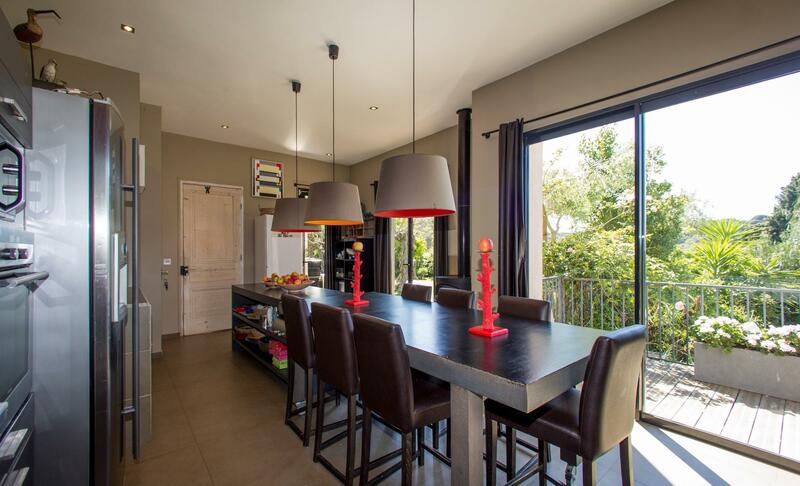 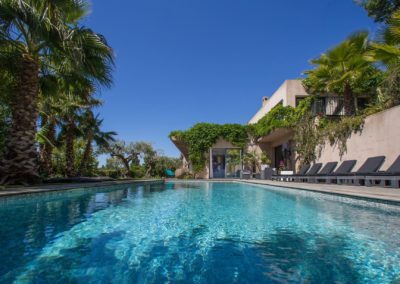 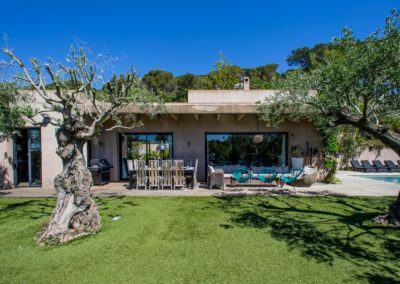 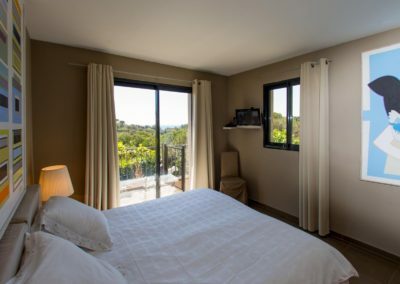 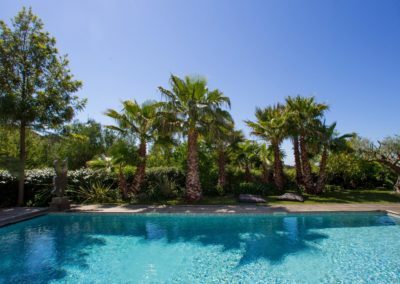 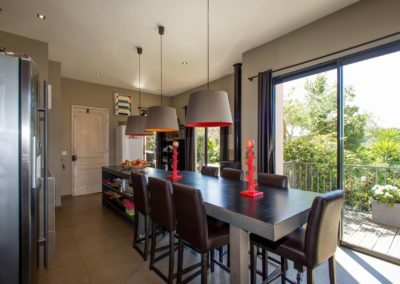 Luxury French Villa St Tropez – This is a highly contemporary villa with an enviable location just outside La Croix Valmer, very close to Gigaro beach and enjoying good sea views. 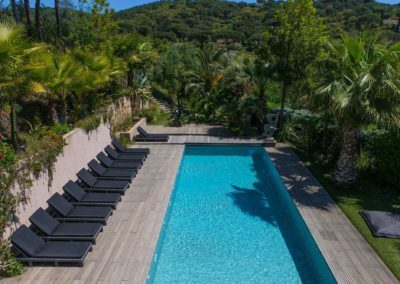 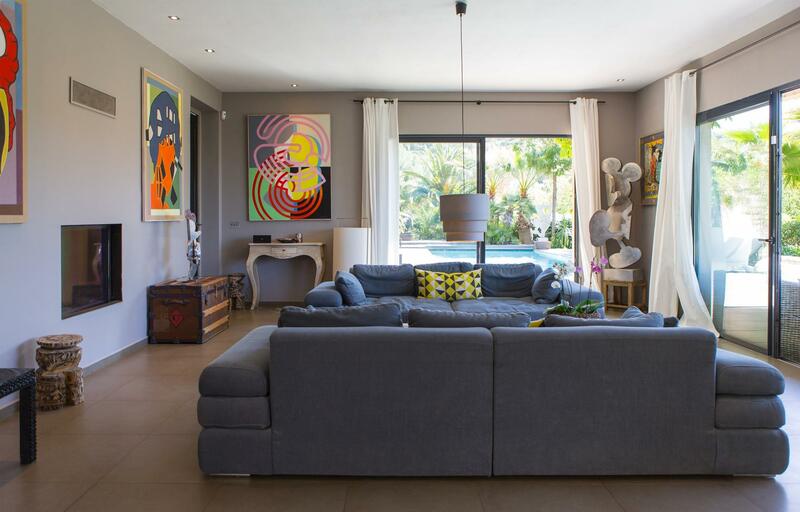 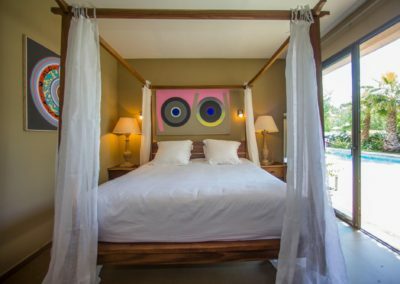 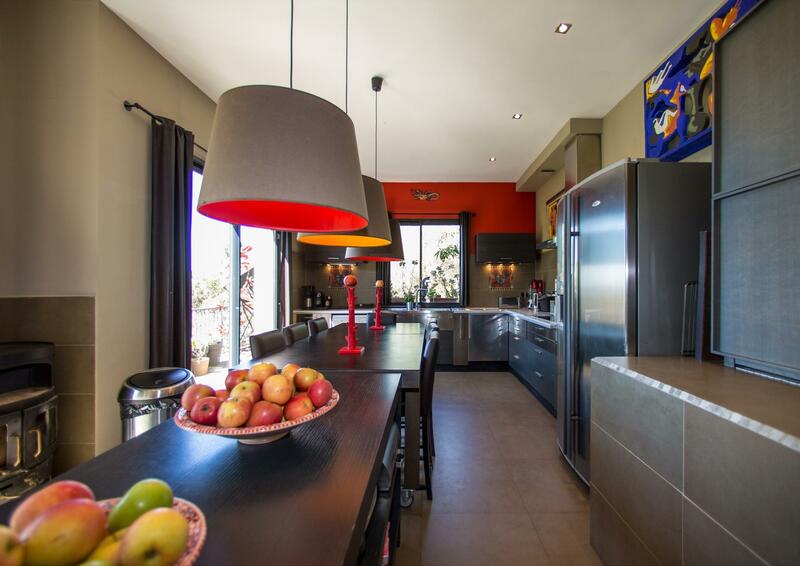 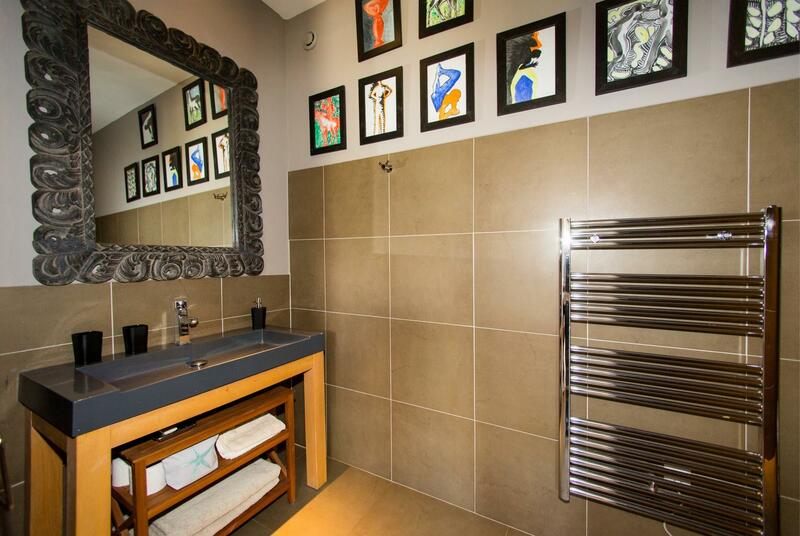 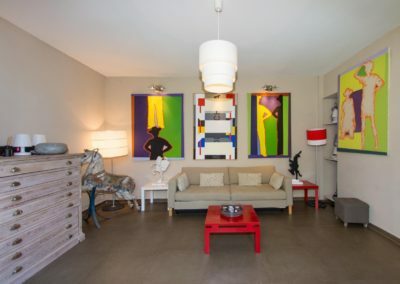 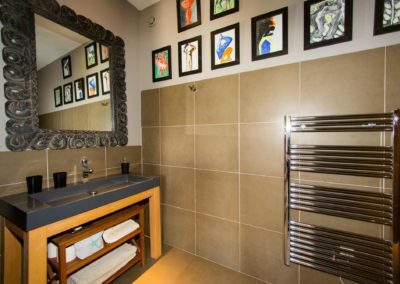 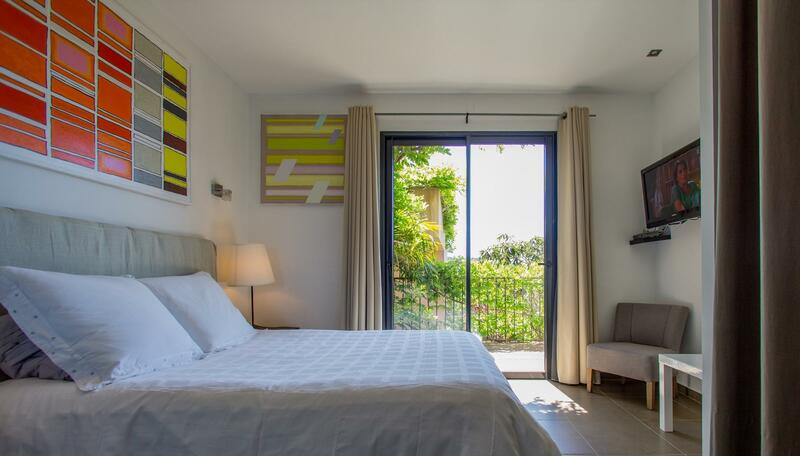 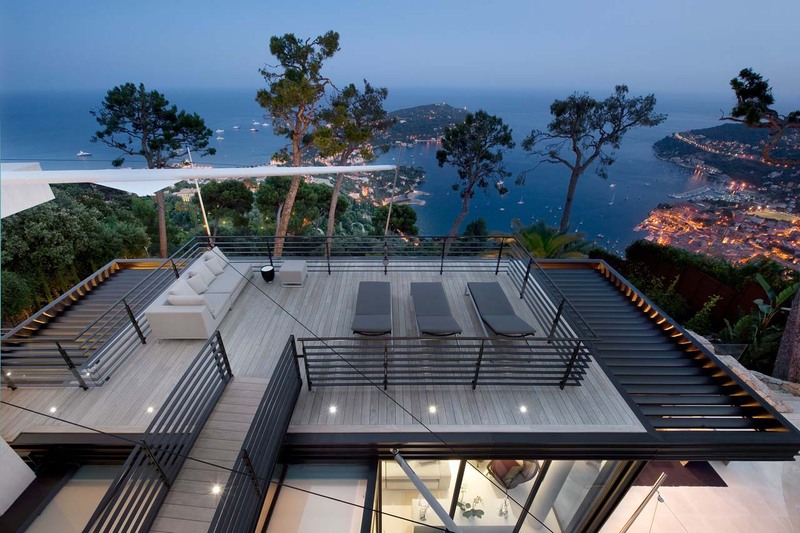 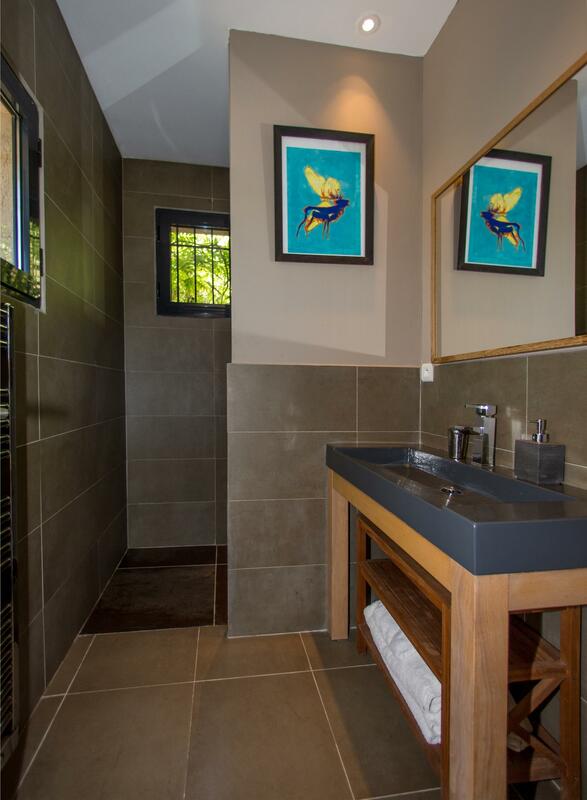 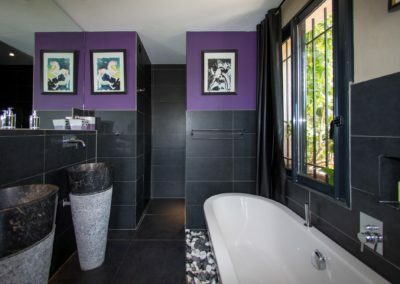 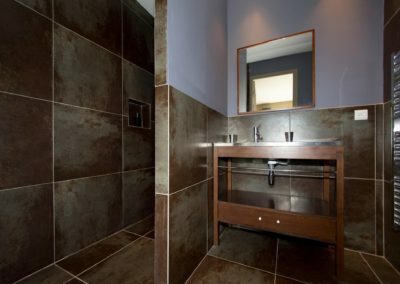 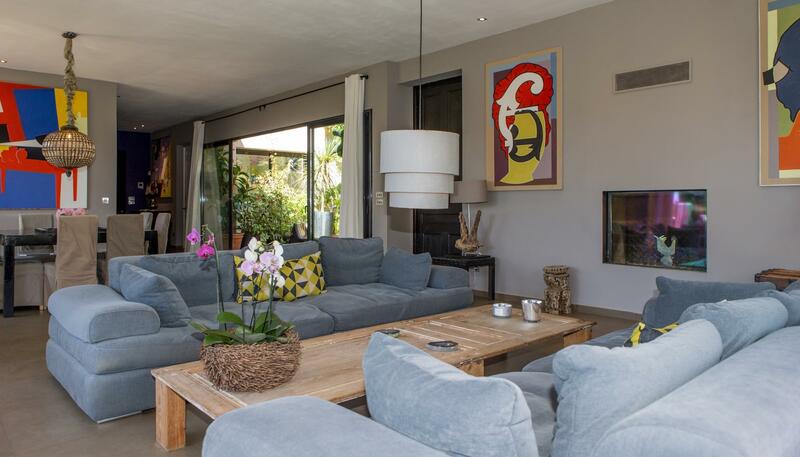 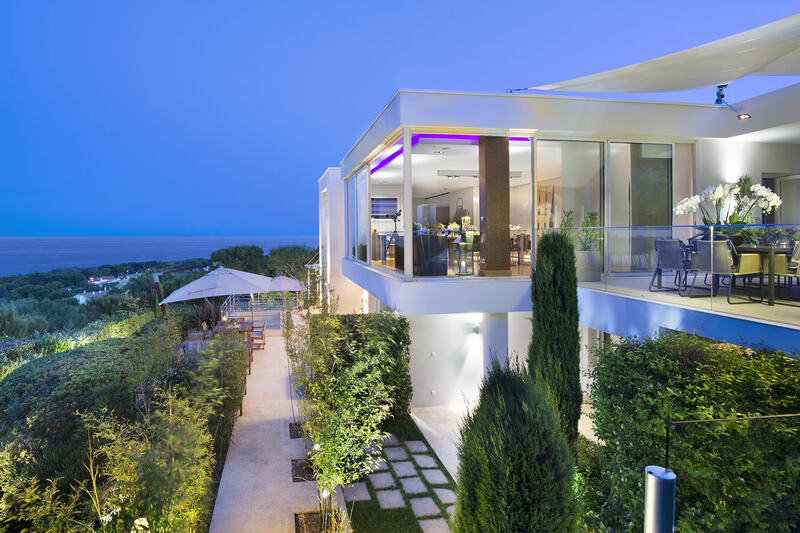 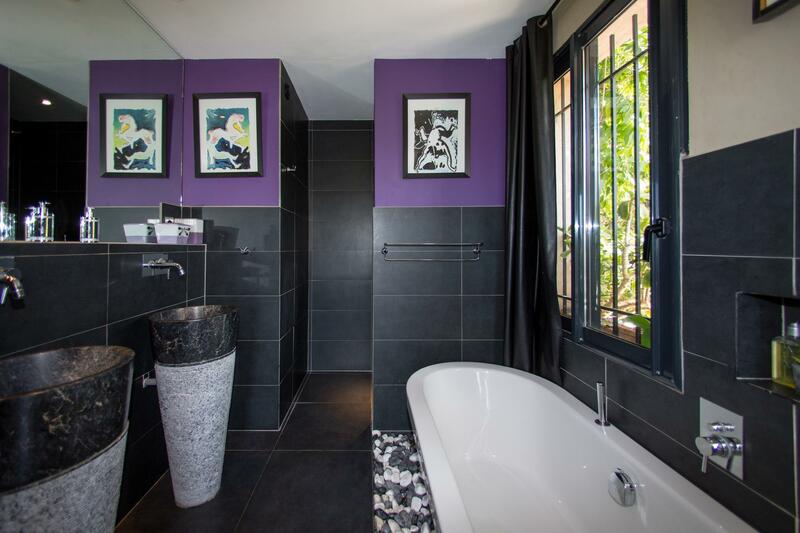 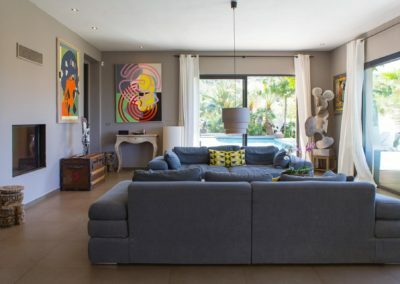 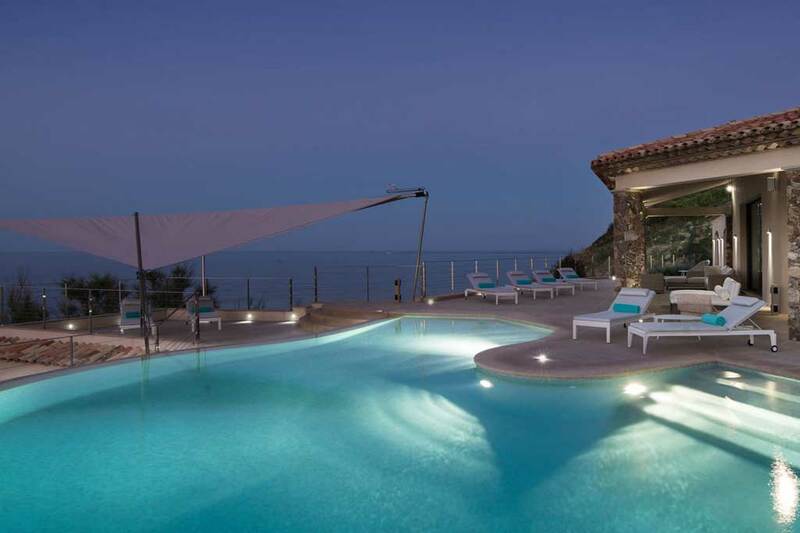 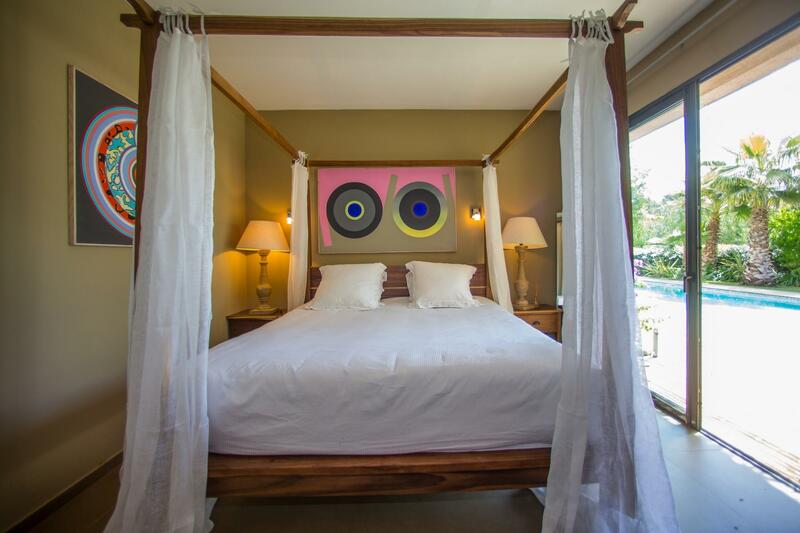 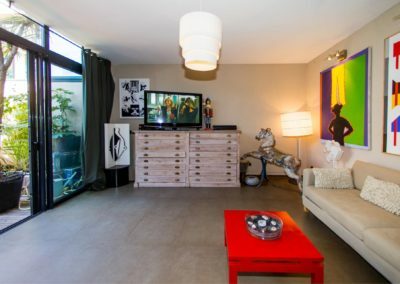 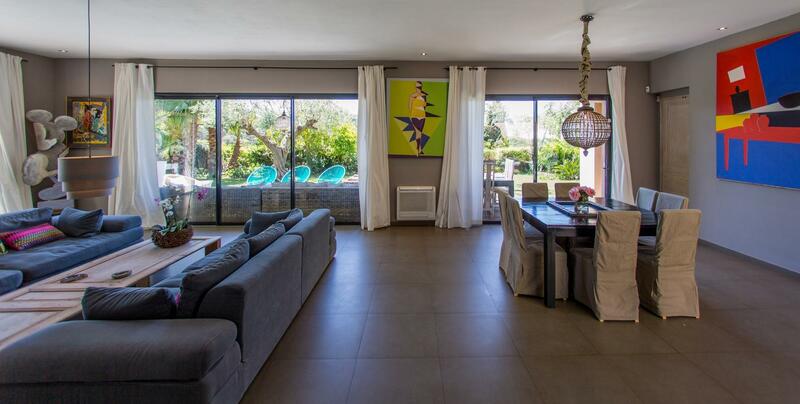 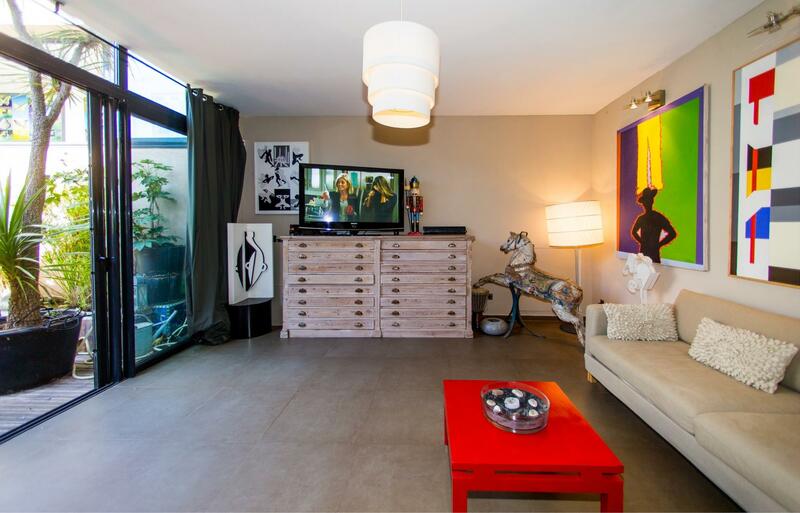 This luxury French Villa St Tropez has been elegantly designed with care and attention to detail. 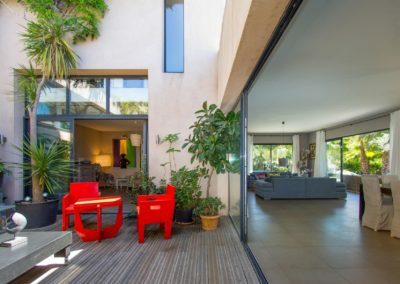 Large glass doors lend a feel of light and space, whilst outside, covered terraces and an internal patio with seating and fountain mean there are no shortage of areas in which to relax. 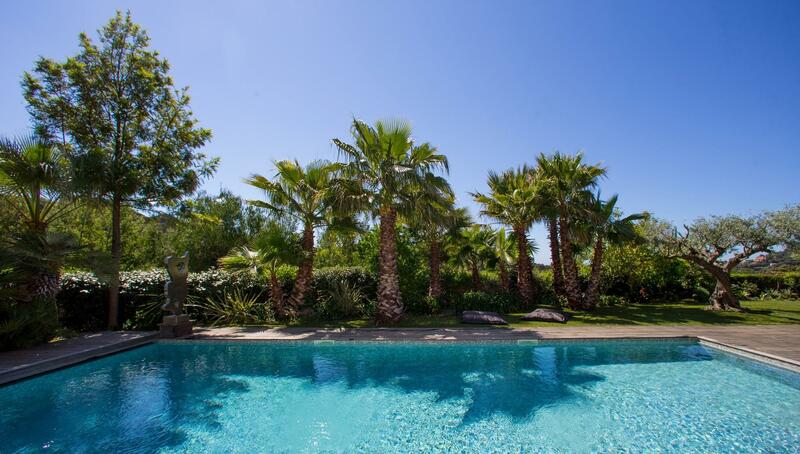 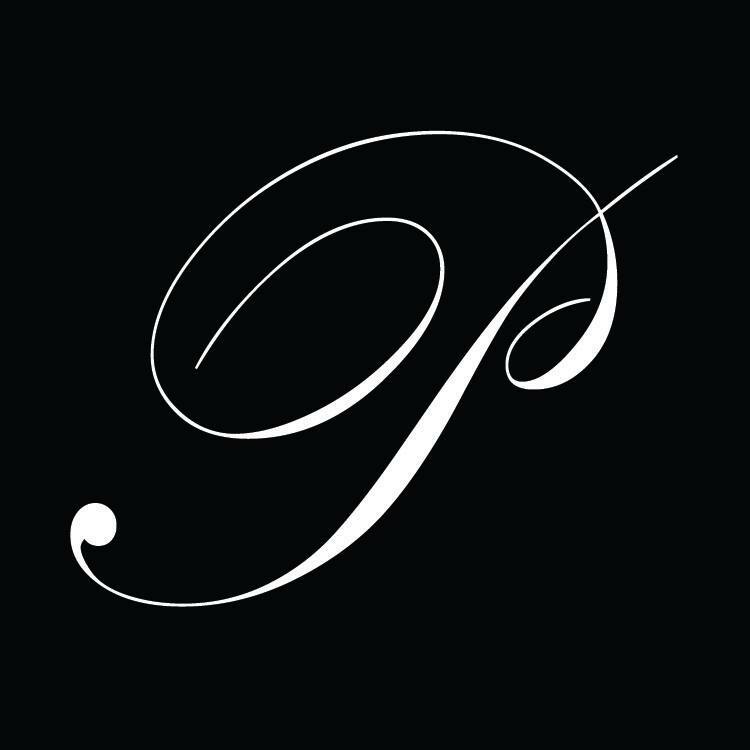 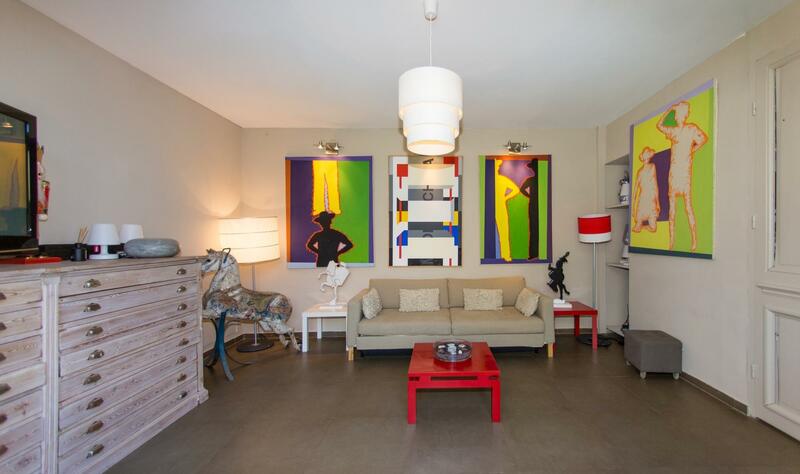 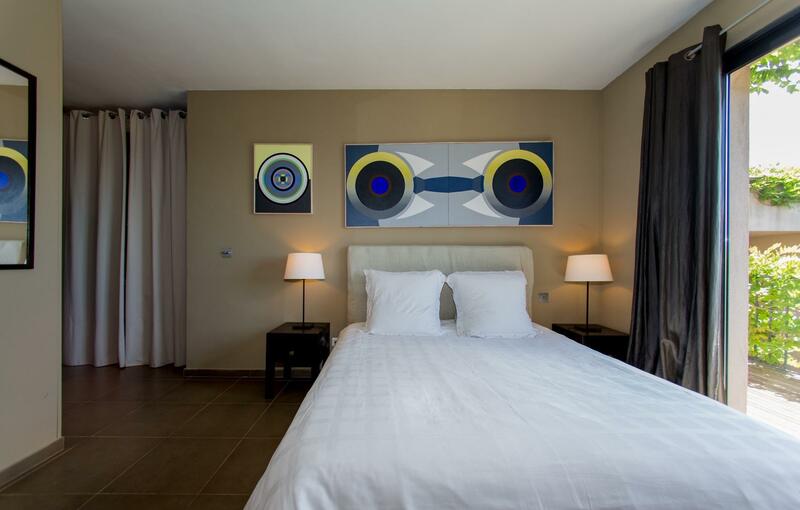 The emblematic town of St Tropez and the famous Pampelonne Beach and Club 55 are within twenty minutes drive. 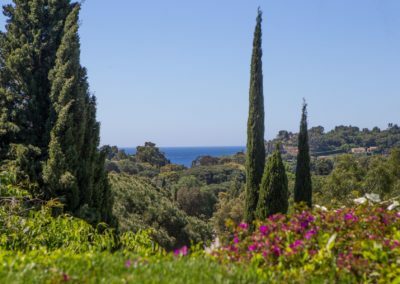 Further afield, enjoy day trips to the many charming local towns and villages, including Gassin, Ramatuelle and Cogolin, all enjoying excellent restaurants as well as weekly markets. 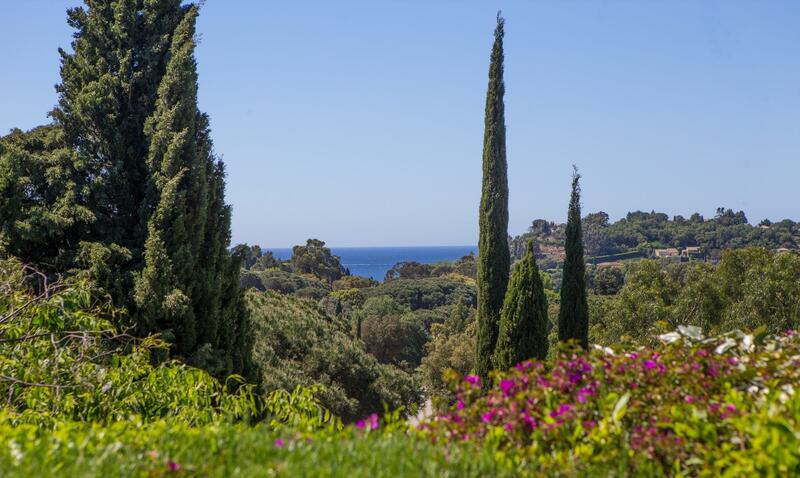 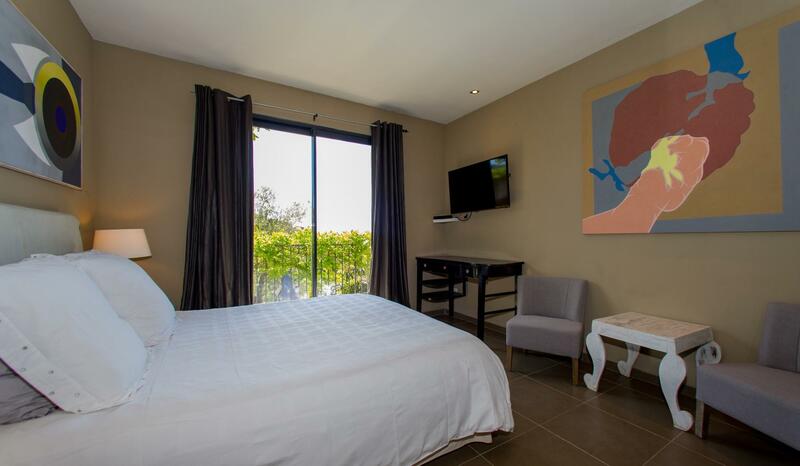 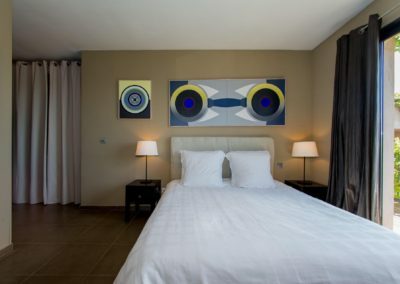 Activities in the area include sailing, windsurfing, water skiing, horse riding, tennis, hiking, polo and go-karting.